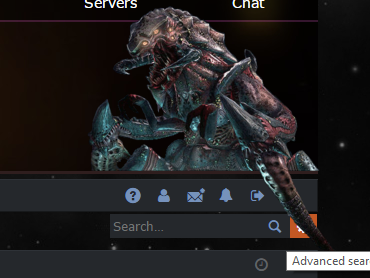 In the forums the settings button is covered by the Tyrant class image, at least on my computer with a resolution of 1366x768. The "Search" button at the top left has the same functionality, and IMO moving the search bar to the left to uncover the adv search button would look bad. You can click it through the tyrant claw in any case.